The Isle of Man Post Office has continued its traditional love of motorcycles with a new range of stamps, entitled Great British Motorcycles – A Celebration of Innovation. 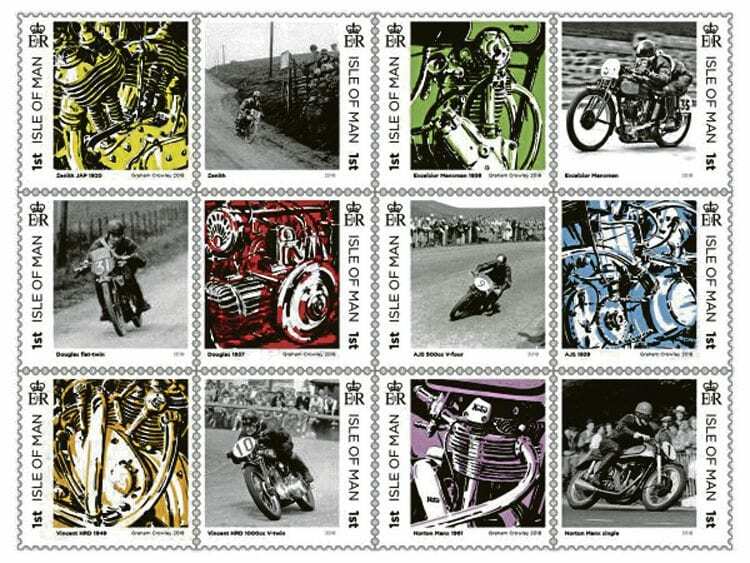 The new range of stamps focusses on a selection of the most significant and ground-breaking motorcycle engines in the golden age of the last century. The stamps combine the paintings of Graham Crowley with archive imagery from Mortons, to honour the many engineers, teams and riders who pushed the envelope, often using the famous TT course as their test bed.